Rouse your inner rebel and show everybody that they’re not taking your flag! 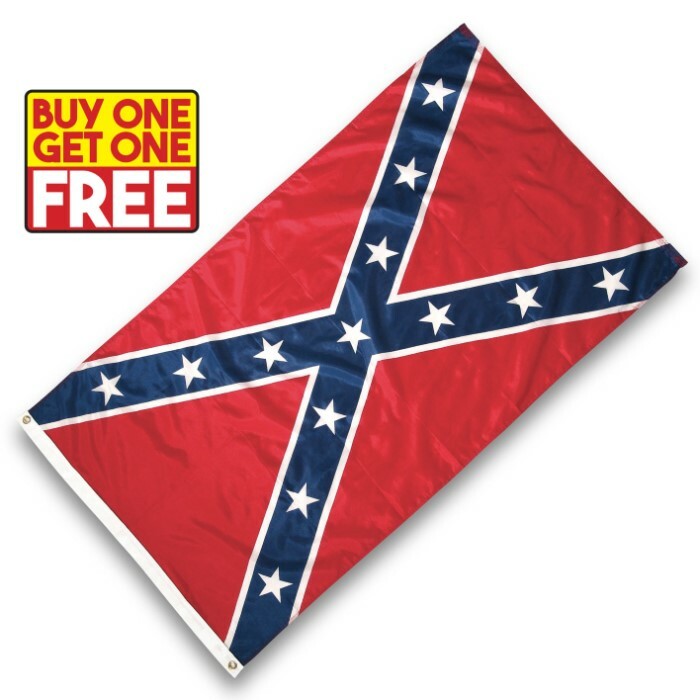 Display your heritage proudly with this Confederate battle flag. It features durable polyester construction with metal grommets for hanging. This 3' x 5' flag screams attitude and looks great inside and out! Considering the price I paid for these flags, it's pretty good quality. I gave them as a gift and they LOVED them!